Here is how to open Line App (application) on computer (PC / Desktop) also notebook in easy way. How to download official LINE App or installation file. How to login or sync with an existing account that installed on your Smartphone? There are two method in this tutorial and you are free to choose on which you prefer with. In this article there will be 2 ways or method to open Line application or Line account on computer, the first one is by installing Line software and the other way is by using browser which mean you don’t have to download and install it by yourself. 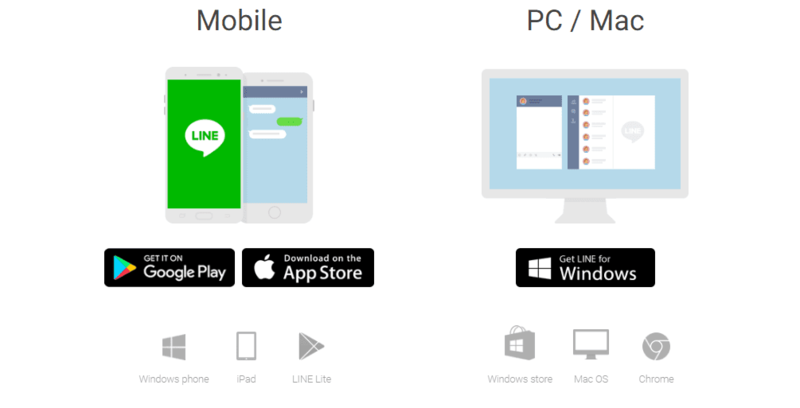 Line App or is now one of the most widely used applications to chat or communicate online, especially for Smartphone users in Asia. The toughest rival now is WhatsApp, Facebook messenger, and Blackberry Messenger (BBM). In addition to the applications that have been mentioned seems to have no more applications that can be said as rival to LINE App, Especially in Asia. This Application is originally come from the land of jinsom, South Korea, and LINE is known as the application that rich of stickers to be used in communicating with your contact in the app. Even better, in some countries they use famous people photo or animation that is applied to be a sticker that can be sent between users on LINE App. Opening chat apps that are installed on our Smartphone through computer or laptop will certainly help our movement and effectiveness, especially for worker or people who spend time in front of computer a lot. If we are having conversations with 3 different peoples then if we are not open the chat app through PC then, for the consequences we have to switching gadget every time a new notification popup from Line. And it will be very time consuming, when we need to switch gadget many times. Instead we have to use Google Chrome browser as a home to run this Line application, also if the browser is closed then the application stop running as well. Personally, I do not recommend running the Line app using the Chrome browser, the reason will be explained in different paragraphs below. But in this article I’ll keep share the tutorial as a reference for you because maybe there are readers here who are more comfortable using chrome browser to operate LINE App. 2 Go to LINE's official website to log in to the Chrome App page. Or click on the following link: https://line.me/en-US/download. Click the Google Chrome logo (right-bottom of the screen) on the PC / Mac side. You will be taken to a new window called LINE Chrome App. Click the blue button with the words "+ Add to Chrome" (roght-top) then wait until the install completed. You will be taken to the list of apps that installed in chrome browser. Select or click the LINE Application Logo. Choose the Login method as you wish. You can use email, phone number, or with QR code scan directly using your Smartphone. Verify. Usually the application send some number as a code to verify from PC to Smartphone. Done! In the experience of ri-techno.com team, you will be asked to verify one more time on as you sending chat / message for the first time from Desktop. For further chat activities you will not be asked to verification anymore. After verifying then you officially operate the LINE App in chrome browser, don’t forget to enable windows notification on settings Menu. Usually the popup will automatically appear to activate it. Good luck! This second method is the way that I personally recommend it, although initially we have to download the file and also install the Line App manually, but this method (via app installation) is way better than the first one (via Browser ). Especially if we will use it for long term usage or daily use. Make sure your Computer or PC is connected to internet before start to download the Line app file, the file to be downloaded is about 67 MB. Go to LINE’s official website to download the installation file. Or click on the following link: https://line.me/en-US/download. Click the "Get LINE for Windows" button if your PC or Computer uses Windows as Operating System, if you are use Apple Product (iOS) then go for Mac Button to download. And the installation file will be automatically downloaded. after the download is complete, open and install file, follow every step that appears until the install process completed. Open the LINE Application you have installed. Verify. The number code will be sent to verify and sync between PC and Smartphone. 2nd Verification. As the first way has been written above, the second step of verification will be asked when you chat for the first time. After that you will no longer asked for verification anymore. Done!. Do not forget to enable notifications for desktop (if necessary). Similar with WhatsApp for Desktop. 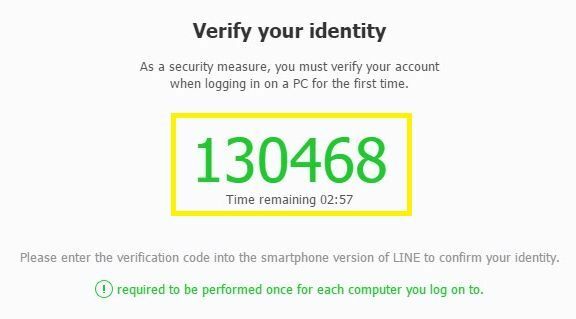 LINE for Desktop application also has the same characteristics that this application is just a mirror or repetition of the activities in your Smartphone, the data source refers to the same place (smartphone), only we can operate it from 2 different gadget. Why the first method (via Browser) is not recommended? LINE apps that exist in the Chrome browser do not have the full features like features that available in mobile version, even in the installation version (2nd method). If you want to view the timeline or notes, it cannot be open directly through the application, but will open a new tab using the default browser, this way is quite annoying. Do not get priority if there is software update. Based on our observation, the default version on Chrome browser is different from the installation version. Why the second method is recommended? The application is independent, so it does not interfere with the browsing activity (when using Chrome). Available features are more complete, even none the less, when compared with the first method. If you want to see the timeline or notes, it will not be opened in the browser, but still using the LINE application itself. The software version is more updated than the LINE on the Chrome browser, making us as users feel more secure. You can try it on your own, there may be from you guys who are more comfortable to use LINE via browser, or some of you more comfortable to use the application with install first. Hope this article can help you who are looking on how to open LINE account on PC Computer or laptop. Hopefully this discussion can be a reference. If you have any questions or experience some error, you can directly discuss on the comment field below as usual. Stay wise! #beWiseUser!